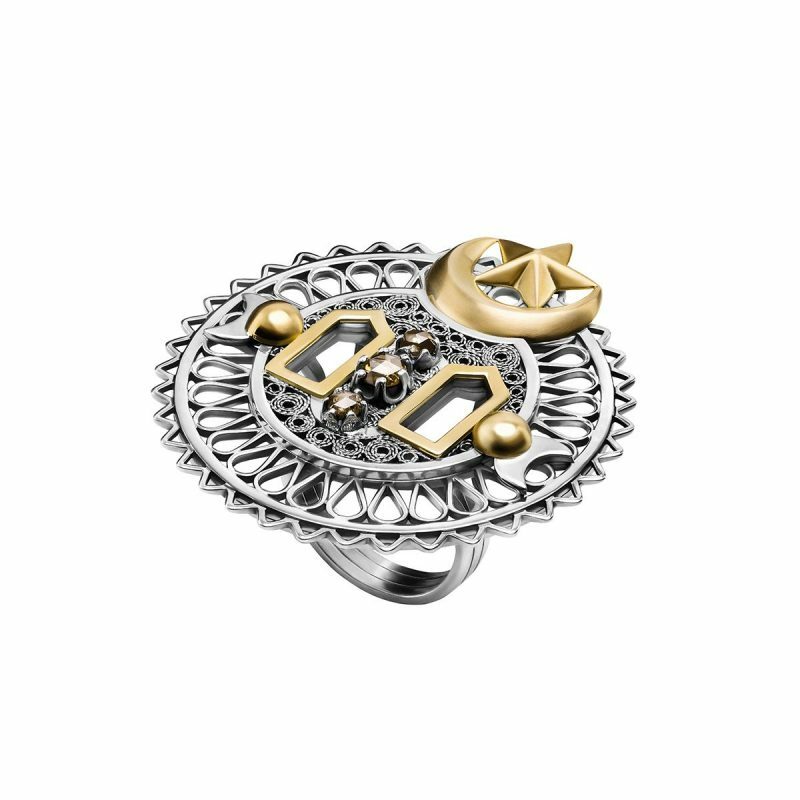 The Filigree Window Ring is a modern interpretation of Egyptian peasant jewellery, beginning with the crescent and star to the ‘Window of the Prophet’. As some people say, ‘Window of the Prophet’, or ‘شباك النبي’, was a reference in old times to the Mashrabiya windows, letting light through their wooden holes. The name was out of belief that the prophet’s blessing is what allowed the light to penetrate the rooms. Part of the Falahy collection by Azza Fahmy, which explores the darker side of nature, capturing its diversity and the perfections with the imperfections.